St. Thomas, U.S. Virgin Islands. Determination – to win and have fun – proved the successful strategy for the top team in the 44th USVI Open/Atlantic Blue Marlin Tournament (ABMT), fished out of IGY’s American Yacht Harbor marina, August 15 to 19. 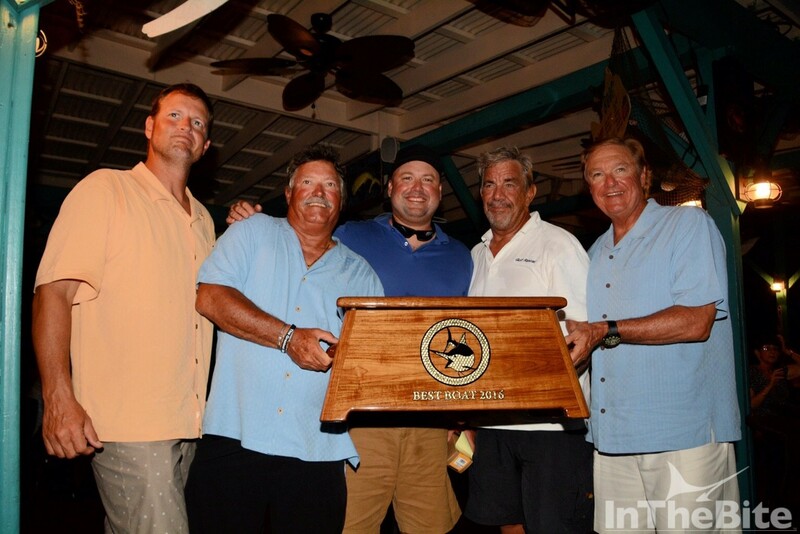 Rod Windley, of Pensacola, Florida, fishing aboard his 68-foot Hatteras, Gulf Rascal, and fellow angler, Andy Venable, of Knoxville, Tennessee, each released a blue marlin apiece on the tournament’s fourth and final day to win Top Boat with 6 blue marlin total. “We knew we had to catch two and do it as early in the day as possible to have a shot at winning,” says Gulf Rascal’s Windley. 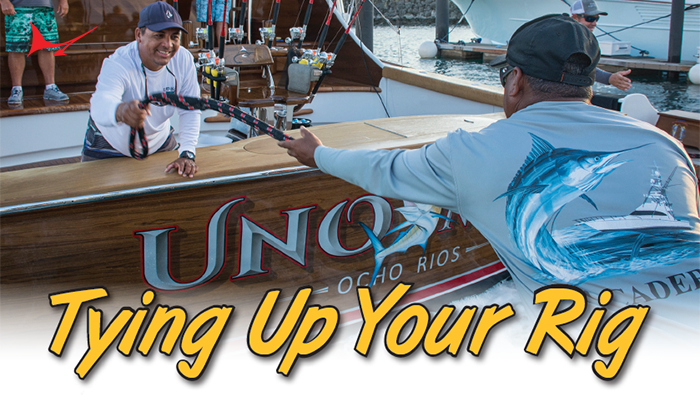 Windley was the first aboard Gulf Rascal to hook up for the day, at around 11 a.m., and he released his 350 plus-pound blue marlin after a half hour fight. 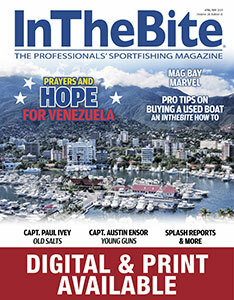 Three hours later, Venable pitched to and hooked up a monster 500-plus pound blue. 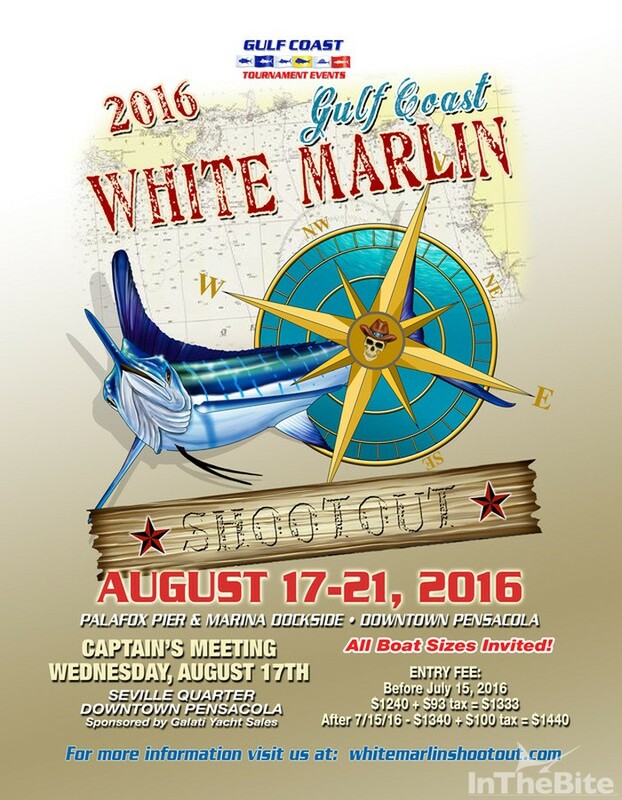 Gulf Rascal’s Capt. Billy Borer backed down fast and within seven minutes the hot fish was caught, released and swimming away thanks to the fast action of mates Glen Helton and Rob Barringer. 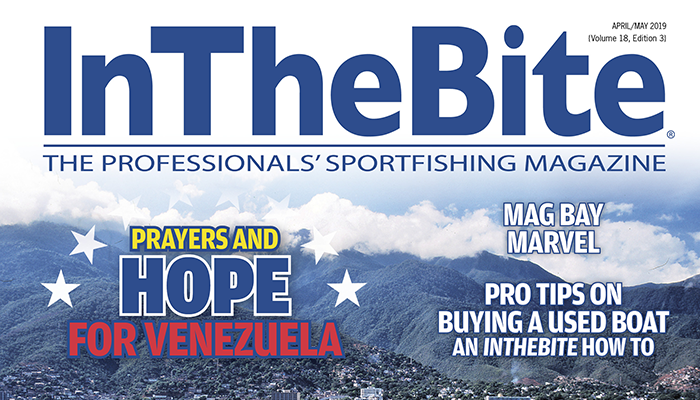 The ABMT, in addition to being a team tournament, is renowned for its prestigious Ed Pang-designed trophy for Top Angler. 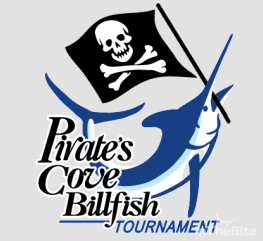 It was Scott McFarland, of Cocoa Beach, Florida, fishing aboard Crystal River, Florida’s Chad Damron’s 75-foot Weaver, Sodium, who released a blue marlin – his fourth for the tournament – with less than half hour left until lines out to capture this prize. McFarland’s name will be inscribed on the perpetual Ed Pang crafted ‘Straight Up’ trophy that depicts a marlin jumping out of the water. The late Winthrop Rockefeller, Jr., commissioned Pang to make the ABMT’s angler trophies back in the 1970s. “We got the lines back out there really fast after I released that blue in case in that last half hour we were able to get another one and win Top Boat as well, but that didn’t happen,” says McFarland, who back in 1987 won the ABMT as a mate when fishing with Sodium’s Capt. Randy Jendersee, when Jendersee was at the helm of the Free Enterprise. 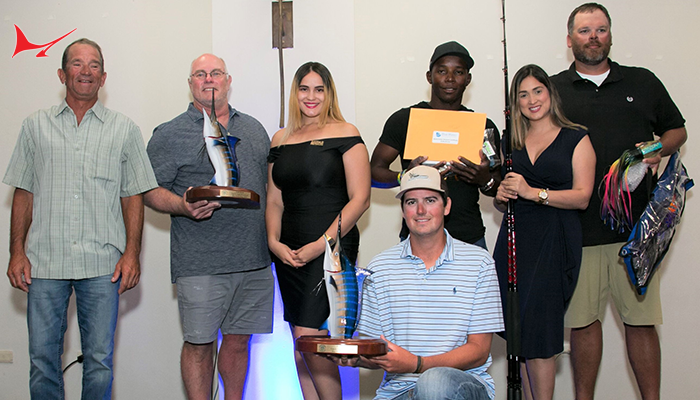 The four-day ABMT, known as the ‘Super Bowl of Sports Fishing’ for its strict rules, started with Gulf Rascal in the lead after the first day with two blue marlin. 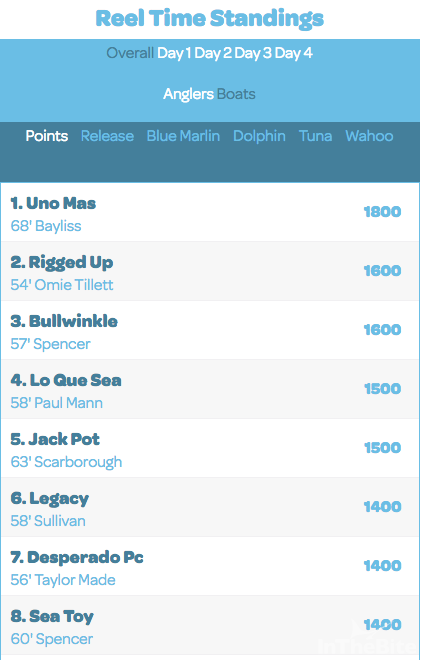 On the second day, Sodium took over the lead with four released marlin total. 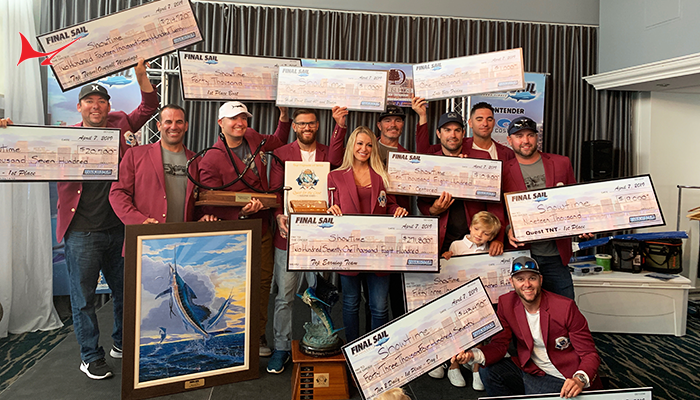 Sodium held on to the lead on day three by adding one for five marlin total with Gulf Rascal heading into the final day with four released blues. Gulf Rascal tied Sodium with its anglers first catch of the day and one-upped them to six total to win with the early afternoon release. 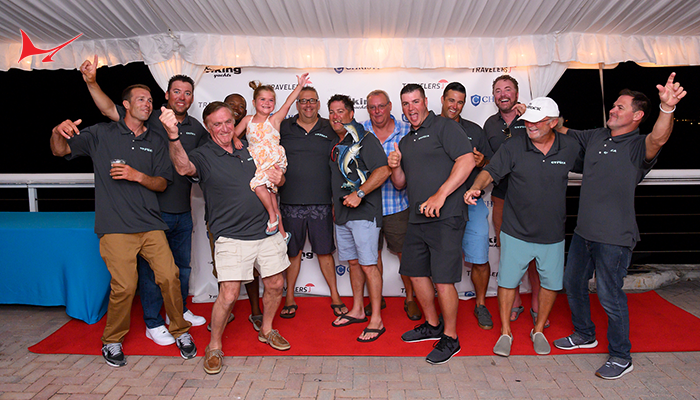 Sodium evened the score to six with McFarland’s late afternoon release to finish second in the boat standings based on time. 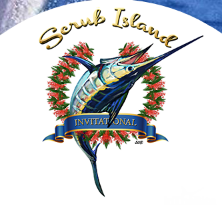 Scrub Island Invitational Aug 14-17 – 8/18 Jichi Wins. Congrats to all. Aug 19-Day 4 Today! 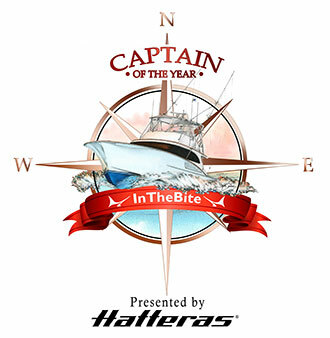 4:15 p.m. update and unofficial final results- Congrats to Capt. Tommy Lynskey and crew. Lo Que Se Capt KP Double Grand Slam today (Tony loves his new boat).